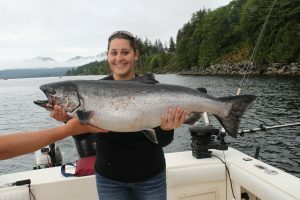 The annual Ketchikan King Salmon Derby is usually held on the last 2 weekends in May and the 1st Weekend in June (some years it is the last weekend in May and the first 2 in June). Top prize is typically $10,000 and there are many other excellent prizes on the ladder as well. We are offering a King Salmon Derby special that if you book a charter with us and you place in the top 10 on the derby ladder then that days charter is on us! 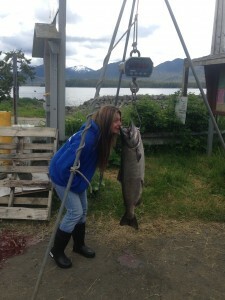 We LOVE to King Salmon fish and want to help you to do the same. 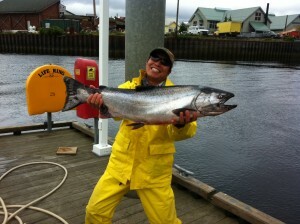 Contact us to discuss open days and times for the Annual King Salmon Derby!